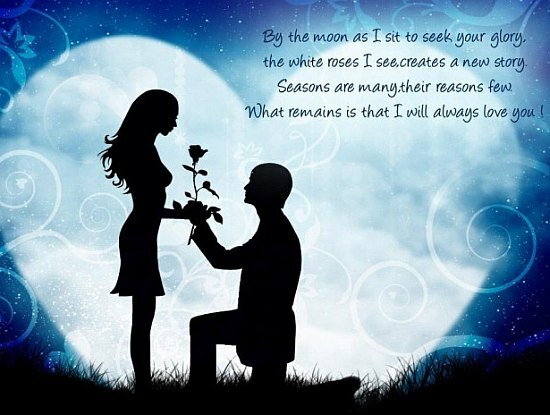 By the moon as I sit to seek your glory, the white roses I see, creates a new story. Seasons are many, their reasons few. What remains is that I will always love you!